The FBRH SustainCase Newsletter is sent out weekly. With each case study in this series the FBRH team highlights one key impact identified by a company reporting in accordance with the GRI Standards, showing how it took a structured, systematic approach to improving performance. 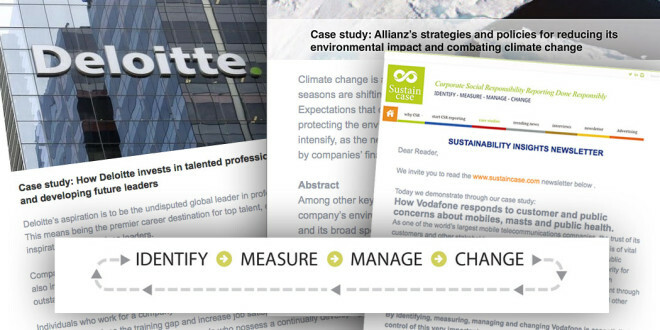 These case studies illustrate how and why a company had to take action on a material issue, how it engaged with its stakeholders to identify material issues and, most importantly, what actions were taken to tackle the issue in question. Mon 3 Sep 2018 – Insights: Responsible CSR/ Sustainability reporting – Accelerating the transition to an emission-free global economy How do we accelerate the transition to an emission-free global economy? Stay updated weekly with the latest case studies and gain insights on how you can maintain and increase the value of your company through a structured process and the GRI Standards. Interested in FBRH preparing a case study on your company and how it dealt with one of its key material issues? Please contact us.